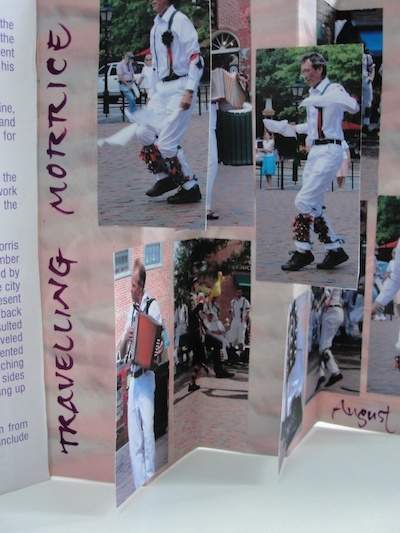 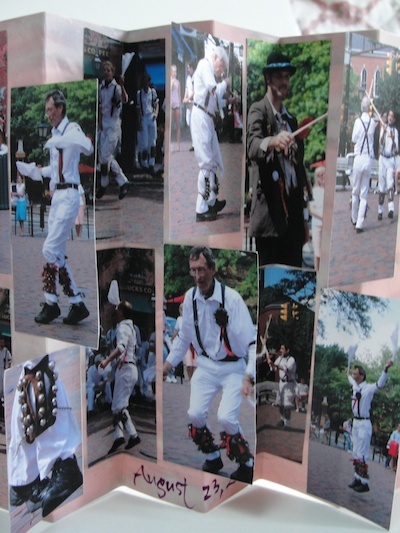 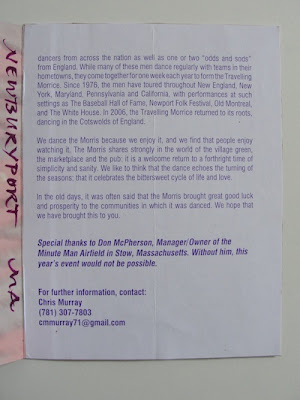 Yesterday the American Travelling Morrice, a group of Morris dancers who gather for a week each summer, came to our little city of Newburyport. 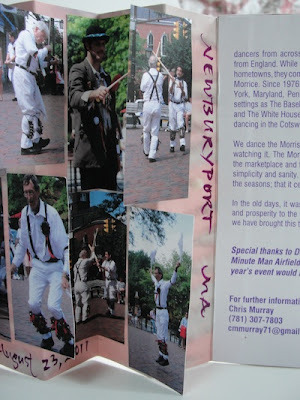 I heard about their tour on the Revels facebook page and was thrilled to find they were coming here. 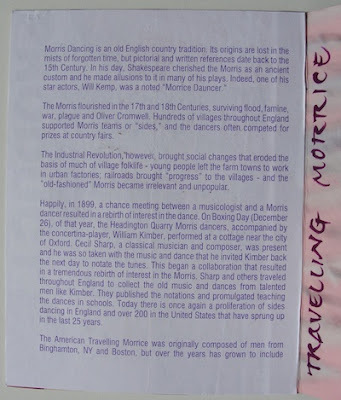 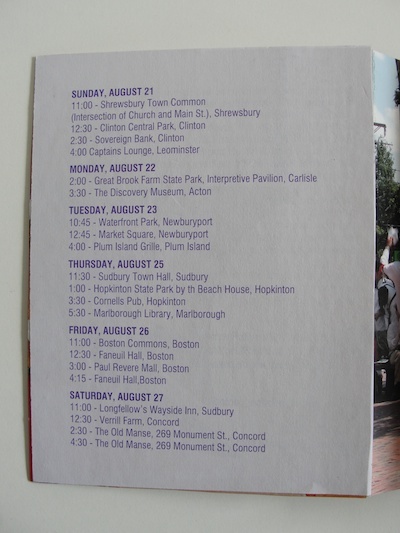 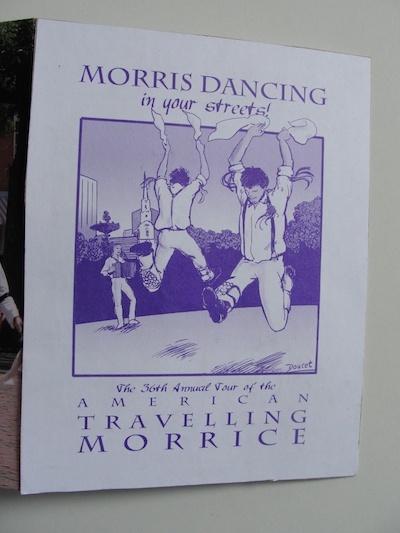 The American Travelling Morrice continues this tradition for a week each summer, bringing the morris dance to a new geographical region. Since 1976, the men have toured throughout New York, New England and Pennsylvania, with performances at such settings as The House of Seven Gables, Newport Folk Festival, Old Montreal, and the White House. 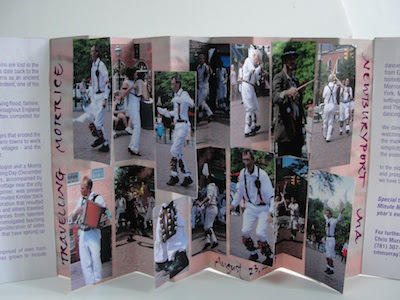 Today I had to take the time to make a small book celebrating the occasion using photos printed from the computer, two copies of the little brochures they handed out, and a cereal box panel.